Dr. Ed K.S. Wang is an Assistant Professor of Psychology in the Department of Psychiatry at Harvard Medical School and the Director of Policy and Planning for the Chester M. Pierce, MD Division of Global Psychiatry. As the former Director of the Office of Multicultural Affairs of the Massachusetts Department of Mental Health, Dr. Wang has developed expertise in caring for and developing programs for racially and ethnically diverse chronically mentally ill adults, children and adolescents with serious emotional or behavioral disturbances. 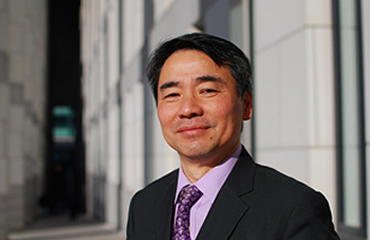 Dr. Wang’s teaching and consulting work focuses on U.S. and international mental health policy, program development, and clinical excellence. He works with organizations and governments to integrate evidence-based practice, community-based participatory research, informatics, network development, and community partnerships to transform public policy as well as organizational programs and practices. Dr. Wang has consulted with groups providing community based mental health services in the U.S, Canada, Liberia, Kenya, China, and Hong Kong. He was the first Asian American psychologist appointed to the National Advisory Council, Substance Abuse Mental Health Services Administration, Department of Health and Human Service and participated in the White House National Conference on Mental Health. He spoke at the 21st IFP World Congress of Psychotherapy on the “Essential Role of Psychotherapy for Person-Centered Health Care: A Global Perspective”. Born in Hong Kong, Dr. Wang is currently the President of the National Asian American Pacific Islander Mental Health Association. He participated in the National Mental Health and Suicide Prevention Debriefing by the White House Commission’s on Asian American Pacific Islanders. He has been a member of a national group addressing health and behavioral health needs through integrated care for Asian Americans organized by the Office of the Minority Health, United States Department of Health and Human Services. Dr. Wang is a national consultant for the National Center for Cultural Competence for children’s and families mental health. He has been on the faculty of the Training Institutes of System of Care since 2002 of the National Technical Assistance Center for Children's Mental Health at the Georgetown University Child Development Center in Washington, D.C.
His clinical, teaching, and public service continues to transform policy, program and practice in the United States and internationally. His career aspiration is to continue the expansion of a network of global experts to improve mental health conditions and overall wellness of underserved communities.